The Clearstream Wastewater Treatment System is a highly efficient “extended aeration” sewage treatment plant. This system, through aeration and clarification, provides a proper environment for aerobic bacteria and other micro-organisms that convert the incoming sewage into clear, odorless, and organically stable water. Test results taken from actual in-service applications of Clearstream Systems average consistently below the United States Environmental Protection Agency requirements for direct discharge of treated effluent. Because of the high quality of effluent discharged from the Clearstream System, many alternative methods of disposal are made possible. Some regulatory agencies allow direct discharge of the effluent to streams, lakes, bays and other bodies of water. Where the regulatory agency does not allow direct discharge of treated effluent, many alternative on-site disposal methods may be used. Spray irrigation and drip irrigation of lawns, pastures, landscape beds, or even golf courses are common reuse methods. With additional accessories, the recycle of effluent is made possible for many other non-potable water uses. In areas with very slow percolating soils and/or high water tables, wastewater may surface even on new absorption systems. 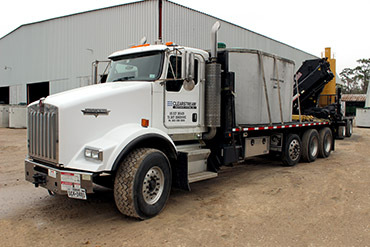 In areas with soils that percolate too fast, in rocky terrain, or in areas with high water tables, the effluent from a septic tank can move through the soil with little soil treatment, thus polluting underground water supplies or surface waters. In all the above cases, the discharge from the Clearstream System, when coupled with properly designed accessories, can prevent these type health hazards or pollution problems. The simple compact design of the Clearstream System makes it easy to install and maintain. The 115V aerator uses very little electricity and is easily replaced in less than five minutes. The durable, high-quality aerator will last many years and is very inexpensive to repair or replace. A Clearstream audio visual alarm panel will notify the homeowner immediately in the event of component or accessory malfunction. The Clearstream Model 500N Wastewater Treatment System has been extensively tested by NSF, International under the lengthy and in-depth testing procedures of the NSF, International Standard 40. Clearstream test results averaged as low as 5 mg/I CBOD and 5 mg/I TSS. All Clearstream Standard 40 Models 500N, 600N, 750N, 1000N, and 1500N are classified as Class 1 systems with or without the optional Model 1100 Filter. 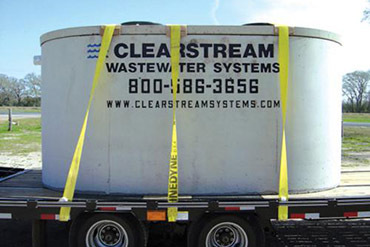 Our top priority at Clearstream Wastewater Systems is customer satisfaction. 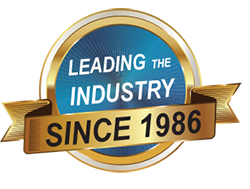 We are committed to providing the highest quality workmanship in every component and system we make. We are proud of the reputation we’ve earned with customers, installers, and engineers and we place a high value on keeping that great reputation by continually increasing the product quality and knowledge we offer. Our mission is to manufacture the most reliable, high-quality, long-lasting wastewater system available. We are constantly focused on how to continue to offer that reliability to our customers and to improve our systems to make them even better. Our goal is the take your mind off of your wastewater system so that you can focus on what’s important to you.